Seoul alt-rockers SmackSoft will play a rare acoustic set in Jeju City on June 30. SmackSoft includes five members, but will be performing as a trio for their appearance at Jeju’s “One Night Acoustic in Jamaica Concert.” The act’s stripped-down lineup will include band leader, guitarist, and vocalist Whang Bo Ryung, guitarist Ryu Seoung Hyun, and key-boardist Kang Ha Neul. One of the more prominent groups in the local indie scene, SmackSoft were added to the bill for the “One Night Acoustic in Jamaica Concert” by chance. Whang was planning a trip to Jeju and emailed an old friend that she hadn’t seen in several years about her visit. Coincidentally, that friend is the organizer for the June 30 gig and invited SmackSoft to play. While Ryu and Kang will just be spending a few days in Jeju for the concert, Whang will stay for nearly a month. While she is here, she will be co-authoring a book with her pals Choi Mi Ae (a professor at the Paekche Institute of the Arts) and singer-songwriter Bang Seoung Chul. The book will include stories about their adventures in Jeju, essays about the island, and some of their photographs and drawings. Born in Seoul, Whang and her family relocated to the United States when she was a teenager. Whang started doing live performances while she was a university student in New York City. In the mid-1990s she decided to come back to Seoul. She released two albums under her own name, 1998’s “Cat with Three Ears” and 2001’s “Sun Sign.” Whang formed SmackSoft while she was recording “Sun Sign” and the disc’s closing song was played by the band. Fed up with the music industry, Whang left South Korea again shortly after “Sun Sign” was released. She went back to school in the U.S. and also spent some time traveling. In 2007, she returned to Seoul and began making music, this time as SmackSoft, again. 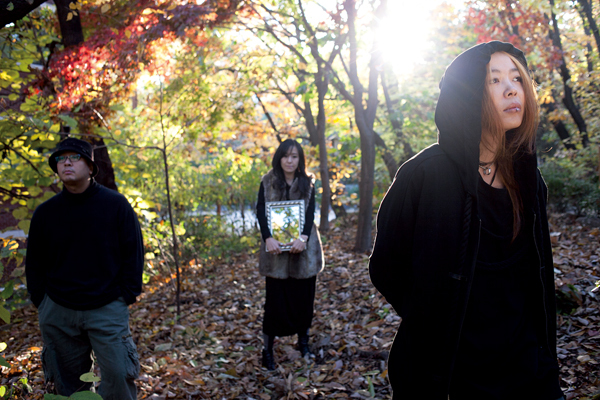 SmackSoft issued their “SmackSoft 2.5” EP in 2008 and proper albums in 2009 (“Shines in the Dark”) and 2010 (“Mana Wind”). Featuring a dynamic mix of rock and post-punk, all three efforts were praised by critics and local music fans alike. In January 2011, “Shines in the Dark” was picked by 100beat.com as one of the 100 best Korean albums of the 2000s. The group will issue a new EP in August. The still untitled effort will boast five or six songs. SmackSoft plan to put out their fifth full-length in the fall. Whang will release her book around that time as well and would like to play some stateside shows in October. SmackSoft play the Mutant – Jamaica Art Centre in Jeju City on Saturday, June 30 at 7 p.m. as part of the “One Night Acoustic in Jamaica” concert. Tickets are 10,000 won. For more information, visit Smacksoft.net or Facebook.com/jejujamaica.